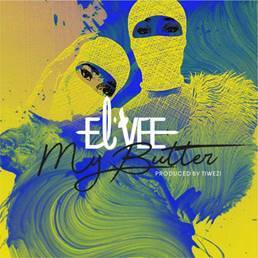 El'Vee are an Afropop duo, which consists of twin sisters Lilian and Vivian Nwaneho. They were born in Lagos, Nigeria and grew up in Reading, UK. Their love for music, drew them back and forth to Nigeria, and as independent artists, they have been lucky to work with renowned musicians like Don Jazzy, Sarz, Tiwezi just to name a few. El'Vee worked as part of the entertainment company Coko Bar London, who were instrumental in putting Afrobeats music and artists on the map in the diaspora. Their love and passion for music brought them to the London Entertainment scene and working with A List African Artists such as 2Face, Wizkid, Don Jazzy and the now defunct Mo’Hits. They also auditioned for XFactor UK in 2008 and 2011 where they met Kelly Rowland, Gary Barlow etc. Although it didn't work out on XFactor, that did not deter them as they took the plunge to explore music, whilst developing their sound in Africa. El'Vee released their debut single Oga Pata Pata in 2013, which was produced by Sarz ft Don Jazzy. Subsequently they took a hiatus from the music industry and returned to music in 2016, where they released Agenda, produced by Selebobo in January 2017 and also skillfully released the Afrobeats version of Dj Khaled's Wild Thoughts, to great acclaim. Now the sisters release their new single ‘My Butter’: an up-tempo inspirational record which embodies strength in positivity, hope and belief in oneself. Butter in Nigerian culture is also a metaphor for good life and prosperity. Often personified as 'God has buttered my bread' meaning ‘God has blessed me bountifully’. NEXT VANS EVENT AND ITS FREE!